Some time ago Samsung announced it would quit the notebook market and while the company stopped selling notebooks in certain parts of the world, it seems to have stayed in this competitive business. 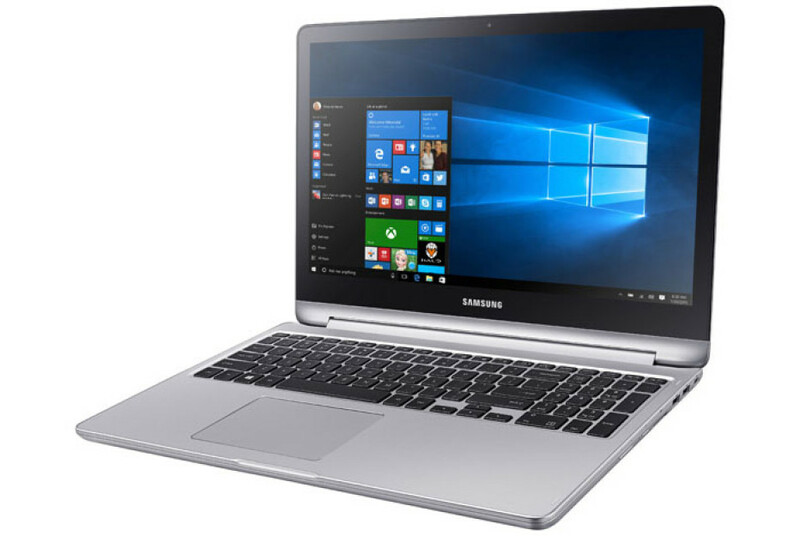 It is not that hard to prove this – US customers now have access to two new notebooks from Samsung that comprise the so-called Notebook 7 spin family. The Notebook 7 spin models resemble Lenovo’s Yoga – they can be used as tablets and when used as notebooks the displays can perform an almost 360-degree circle. The first model comes with a 13.3-inch display that works at Full HD resolution. The notebook-tablet device features an Intel Core i5 Skylake processor that runs at 2.3 GHz (2.8 GHz Turbo), 8 GB of DDR4-2133 memory, a 1 TB hard drive, Bluetooth 4.1, 802.11ac Wi-Fi, four USB ports (two USB 2.0, one USB 3.0 and one USB Type-C), a HDMI port, a microSD card slot, and a 45 watt-hour battery. The other model sports a 15.6-inch display at Full HD resolution, an Intel Core i7 Skylake processor at 2.5 GHz (3.1 GHz Turbo), 16 GB of DDR4 memory, a 1 TB hard drive, a 128 GB SSD (there’s an option of getting 12 GB of DDR4 and a 1 TB hard drive only) and a discrete GeForce GTX 940M video card. The battery is the same. Both models support quick charging – a 20-minute charging period allows the notebooks to work for up to two hours and to get a fully charged battery you will have to wait for about 90-100 minutes. The 13.3-inch model measures 323.8 x 228 x 19.8 mm and weighs 1.75 kilograms, while the larger 15.6-inch model measures 374 x 256 x 19.8 mm and weighs 2.25 kilograms. 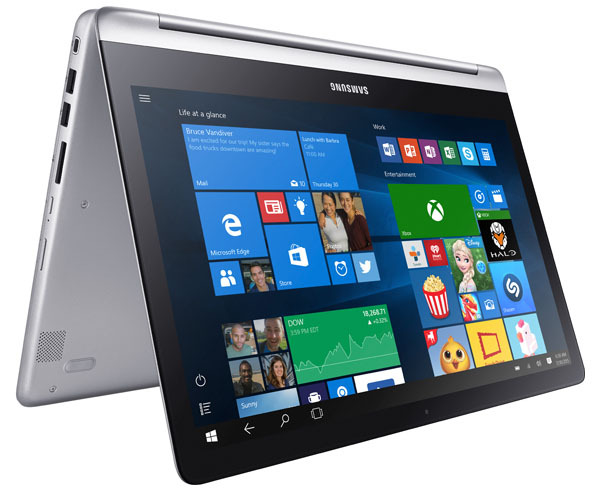 The new Samsung Notebook 7 spin models are available now with the 13.3-inch model selling for USD 799.